Med Data Quest offers three core solutions to ensure a smooth transition from volume to value. This powerful solution, leveraging MDQ’s clinical natural language processing expertise, allows providers and coders to efficiently analyze both structured and free text documents and produce comprehensive and defensible ICD-10 medical codes. NLP assists coders to use their expertise to review auto-suggested codes rather than manually sifting through documents and reference books. It is designed and customized to enhance coding accuracy and consistency, improve coder productivity, and expedite revenue earned for each individual client. The tool captures accurate and defensible Hierarchical Condition Category (HCC) codes to manage risks and maximize reimbursements. By reporting missed HCC codes and opportunity scores generated by artificial intelligence algorithms, the tool identifies gaps in care and helps improve future clinical documentations. Once conditions are accurately and completely coded and documented, providers are able to better manage risks and close gaps of care for patients. Increased quality of care, personalized medicine, and accurate returns are achieved in the long term. MDQ also serves as a management services organization to optimize revenue and manage risks for our clients. 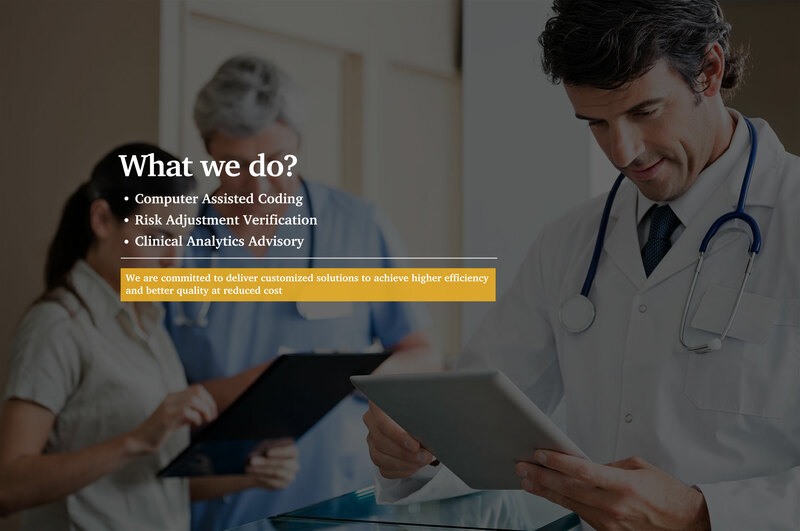 Our services include provider network formation, end to end revenue cycle management, healthcare economics and clinical analytics, care management programs, disease management programs, treat-in-place programs, quality(STAR) assurance, etc., all to be customized to clients and patients’ unique needs. Leveraging our advanced technology to identify and close gaps of care, MDQ develops care models that reduce unnecessary or unwanted hospitalization, skilled nursing facility stays, or ER visits, thus help to improve quality of lives and reduce spending. 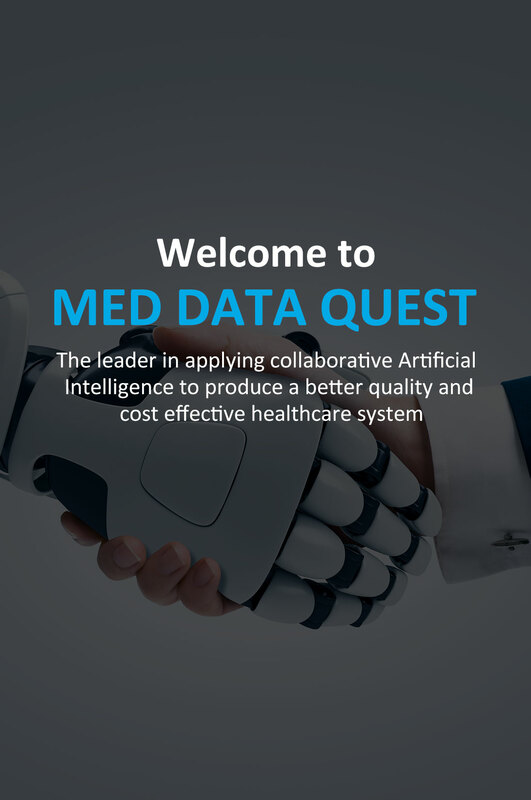 Med Data Quest’s approach is to apply machine learning and deep learning algorithms and comprehensive medical ontology to build high throughput and accurate clinical NLP pipeline. It is used to extract new insights from electronic medical records (EMR). 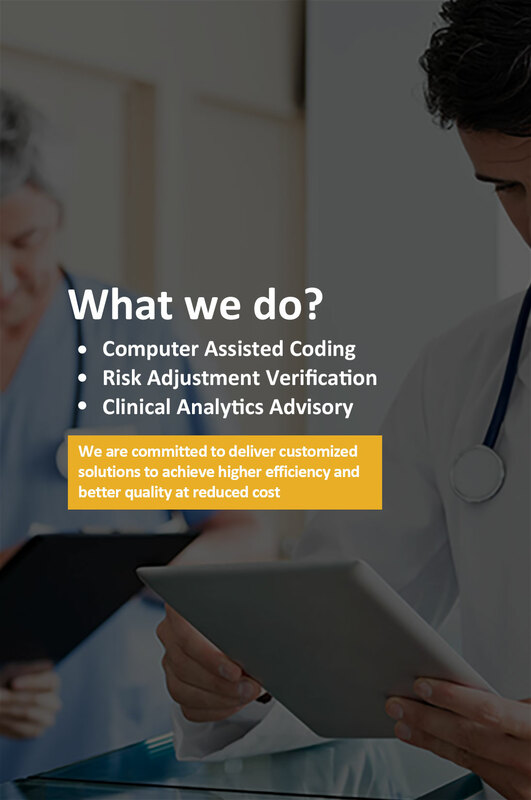 Our Computer Assisted Coding system provides accurate and effective diagnosis coding using advanced clinical natural language processing (NLP), machine learning approaches, and complex statistical models learned from large scale electronic medical records (EMR). An application of artificial intelligence that provides systems with the ability to automatically learn and improve from experience without being explicitly programmed. This technique focuses on the development of computer programs that can access data and use it to learn for themselves. We develop the software program by training with clinical data for the purpose of clinical applications. Deep learning is part of machine learning methods based on learning data representations, as opposed to task-specific algorithms. MDQ applies deep learning algorithms to build sophisticated logical Neural Networks for handling comprehensive medical data. As a brain inspired machine learning tool and technique, deep learning is used to solve medical problems which required ‘thought’ — human or artificial - electronic medical records, optical character recognition(OCR) and medical image analysis. MDQ integrates with client’s existing clinical data sources (EMR, clinical registries, claims, etc. ), then uses robust tools to validate and ensure the highest levels of data quality. We built the platform using advanced statistic modeling techniques, such as multivariate logistic regression, hazard regression, and time series analysis, for predicting outcomes and classification different disease. By simplifying and automating the process of adjusting for both risk and reliability, the MDQ system can recalculate outcome measures in real-time as new patient data are available. To improve overall population health. 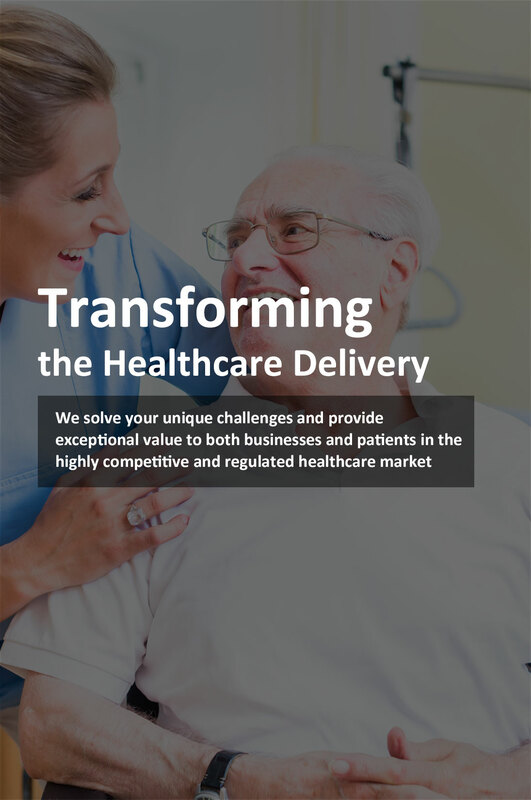 We strive to close gaps in patient care to achieve a higher quality and lower cost healthcare market. 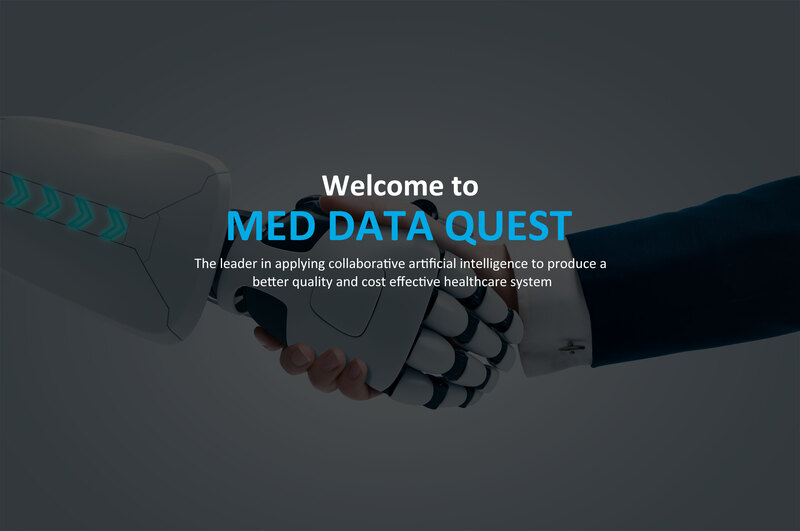 Med Data Quest was founded in 2009 for a research project between Dr. Yang Huang, Dr. Zisook, and Dr. Gary Gao to discover new adverse drug reactions (ADR) through mining electronic medical records (EMR). ). 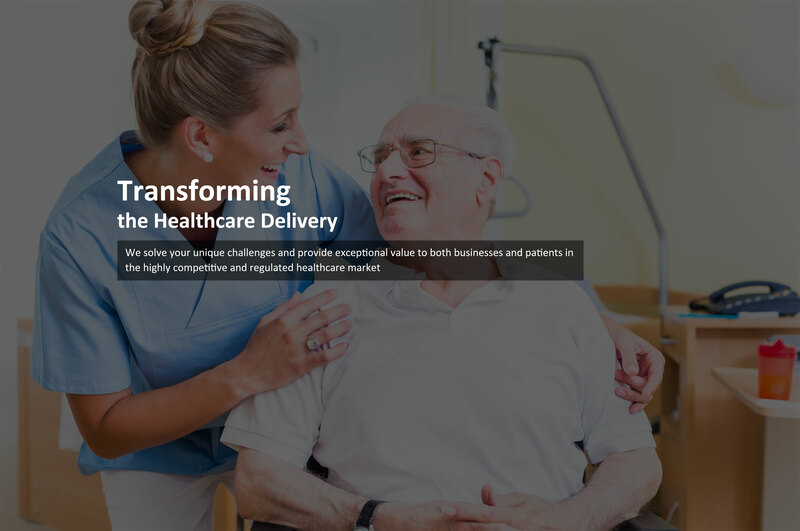 With experience and technology expertise gained from this project, MDQ has later shifted its focus to provide Artificial Intelligence (AI) solutions integrated into healthcare providers’ quality improvement initiatives. MDQ’s medical coding technologies not only enhance coding consistency, productivity, and revenue cycle efficiency, but also deliver transformational results in gaps-in-care identification and closure. In 2017, Roger Blackwell joined MDQ as the company’s first COO/CFO to provide customers more comprehensive ecosystem solutions using AI. MDQ leveraged powerful data advantage to build a natural language processing engine that captures ICD10 codes fast and accurately. At the same time, the engine uses multiple AI techniques to analyze data and suggest clinical documentation improvement opportunities. The engine offers the clarity and specificity to truly draw the whole picture of patients to support precise treatment decisions. Over the years, MDQ has served both large and boutique organizations to better streamline revenue cycle management processes and close gaps in care. Today, as providers face complexities in ensuring documentation accurately reflects the patients’ clinical acuity and the care provided to allow fine quality and appropriate reimbursement, MDQ offers many customized solutions to assist clients transition from volume to value and provide the best quality of care to patients. 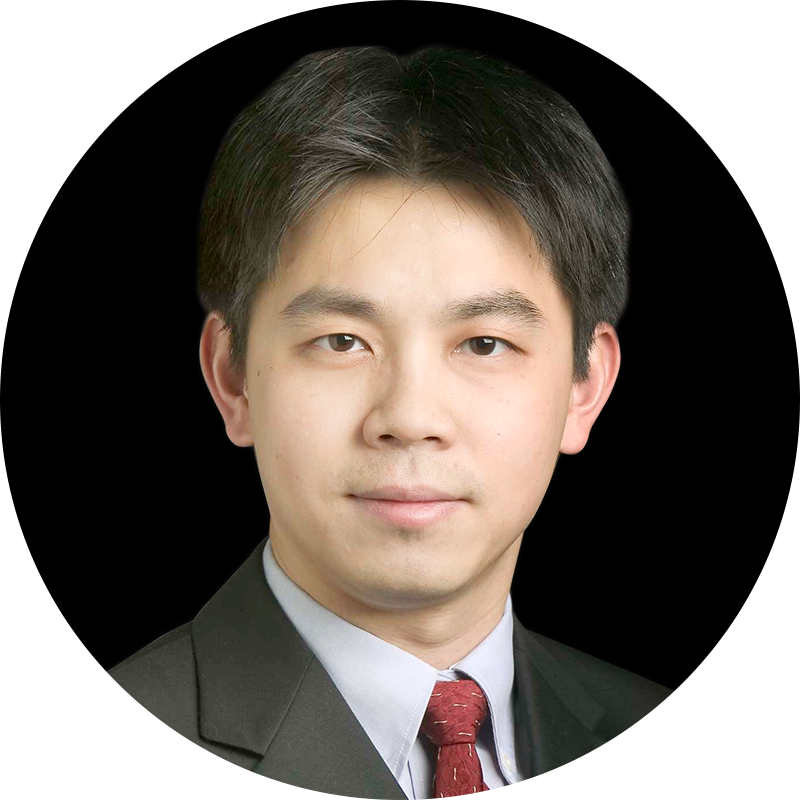 Yuan was an associate professor in Biomedical Engineering at Johns Hopkins University and he cofounded Singlera Genomics to extend his research on next-generation sequencing technology, bioinformatics, and medical informatics. His research leads to application techniques in non-invasive prenatal testing, early detection of cancer, neurodegenerative diseases, genetic factors, stem cells and experimental embryology. Beyond the research field, Yuan has strong passion in using disease prediction and personalized medicine to improve quality of care for the elderly population. He received his Ph.D. in Computer Science from the University of Memphis and Postdoctoral training from Harvard Medical School. Yang is a visionary entrepreneur in engaging Artificial Intelligence innovations that distill complex healthcare challenges into meaningful solutions. 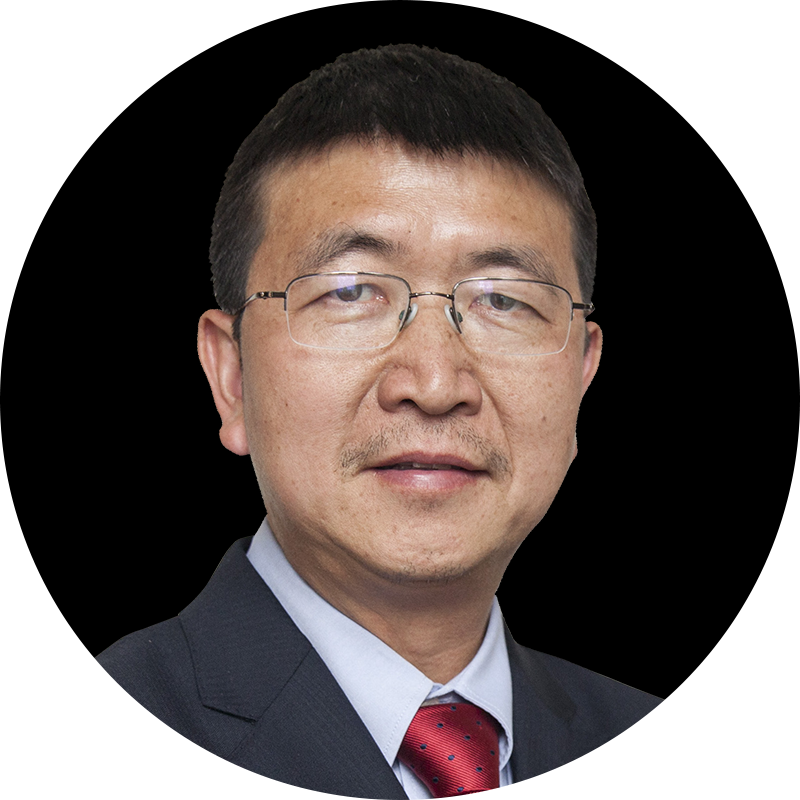 He cofounded Shu Rui Tech Inc. and served as the Chairman of the board for Witspring Health Inc. both headquartered in China. Before his venture in China, he served as the Director of Research & Development Medical Informatics at Kaiser Permanente Southern California (KPSC), where he was the technical lead and Principle Investigator of multiple projects in developing and implementing clinical Natural Language Processing (NLP), data mining and clinical decision support applications. Yang received his Ph.D. in Biomedical Informatics and MS in Computer Science both from Stanford University. Roger is a result oriented leader with over 35 years of experience in the Healthcare industry. 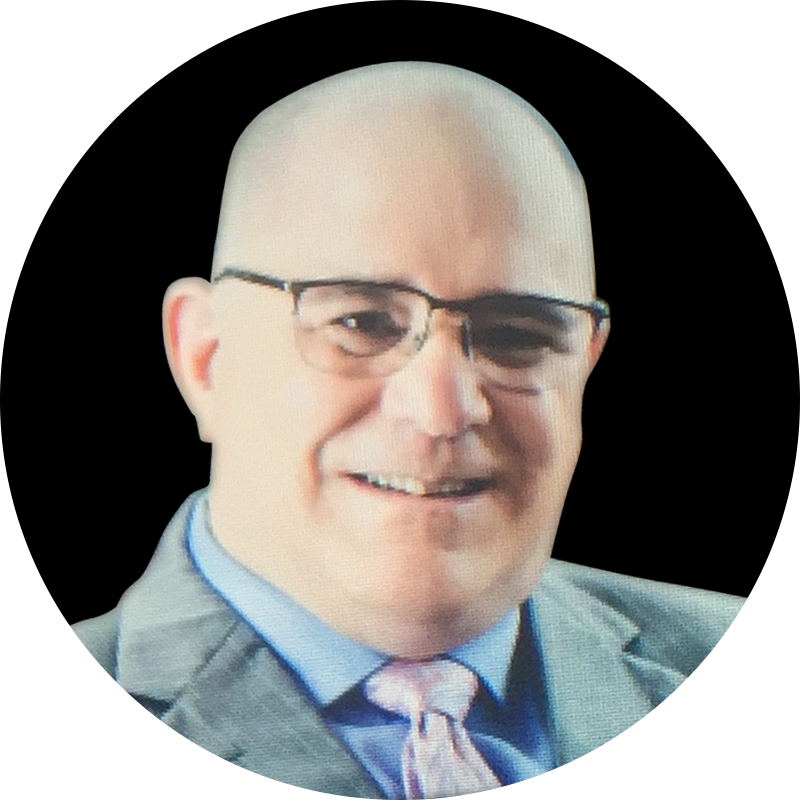 He spent 10 years serving as the CFO/COO at a large hospital system, was also the founding CEO of Health Choice Arizona, CFO for two Special Needs Plans in upstate New York, Area Vice President for Aetna, and CFO for United Health Group’s National Managed Medicaid Operations. At MDQ, Roger’s role is pivotal in product development, team building, revenue growth, and operational profitability. Roger is a Veteran of the United States Navy, holds a BS from Suffolk University, MHSA from George Washington and a Black Belt in Six Sigma. Have a question? Start a conversation with us today! Start a conversation with us today! We look forward to hearing from you. MDQ applies deep learning algorithms to build sophisticated logical Neural Networks for handling comprehensive medical data. As a brain inspired machine learning tool and technique, deep learning is used to solve medical problems which required ‘thought’ — human or artificial - electronic medical records, optical character recognition(OCR) and medical image analysis. Med Data Quest is building great teams! Fill out the form and we will be in touch with you about our current open positions.